“You are not going to buy a baby a mobile,” she said. Still perplexed with my answer, I then realised my friend was referring to another type of mobile – a mobile phone. My question is – why would someone buy a newborn a mobile phone? 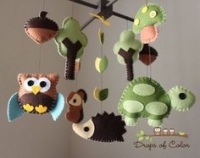 In today’s society a mobile means a mobile phone where 20 or 30 years ago, if not longer, a mobile was a decorative item hung from ceiling or a baby’s cot. An item that a baby became inquisitive with as it dangled and moved in the air. Amazing how the meanings of words from one generation to the next. And then there is the other meaning of the word mobile being that when something is mobile it moves. Do you have memories of a mobile when you were a baby? What is your definition of the word mobile?